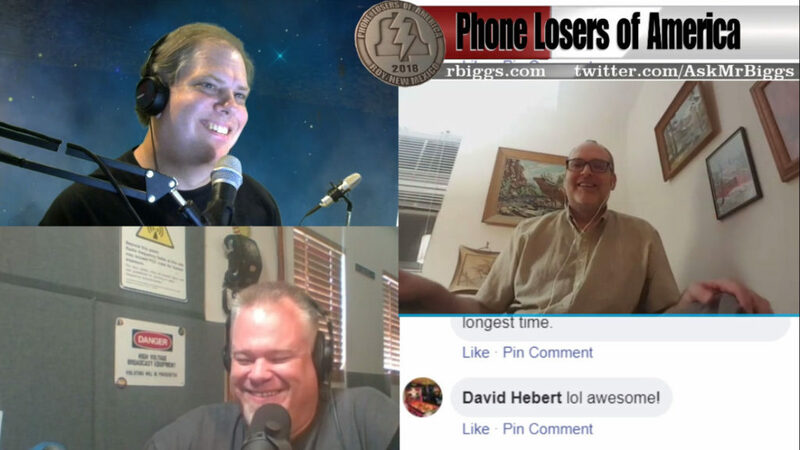 On today's PLA show we've got legendary podcasters Roger and Mr. Biggs from the Stick It With Mr. Biggs podcast, where they talk about the always interesting topic of glues and adhesives. I first came across these guys in 2009 when they were doing an 'AM radio show on K-Shine' where they chopped up phone call audio from real radio shows and turned them into their own creations. It's genius stuff and you can still hear the archives on askmrbiggs.com. Listen to all of them, then listen to all of their new Stick It shows, THEN you can listen to this interview with Roger and Mr. Biggs. You can also find Mr. Biggs on YouTube. On internet! Here's the Facebook video version of this show. Scroll to about 25 minutes for the start of the show. I'll have the edited YouTube version up soon.